Anything that makes it easier for clients and customers to pay for products or services is generally a good thing. And credit cards certainly accomplish that. Yet there are drawbacks. The decision to accept credit cards as a form of payment is worth considering carefully, because it can affect your bottom line, client and customer relationships, growth projections, and other factors central to your success. Most credit cards are generally branded as Visa, MasterCard, American Express, or Discover. You’ll also have to engage with a middleman to process your transactions – either a merchant service provider (usually a financial institution) or an online payment processor. These types of payment processing companies, which have pros and cons of their own, pluck funds from the buyer’s account and funnel it to yours. 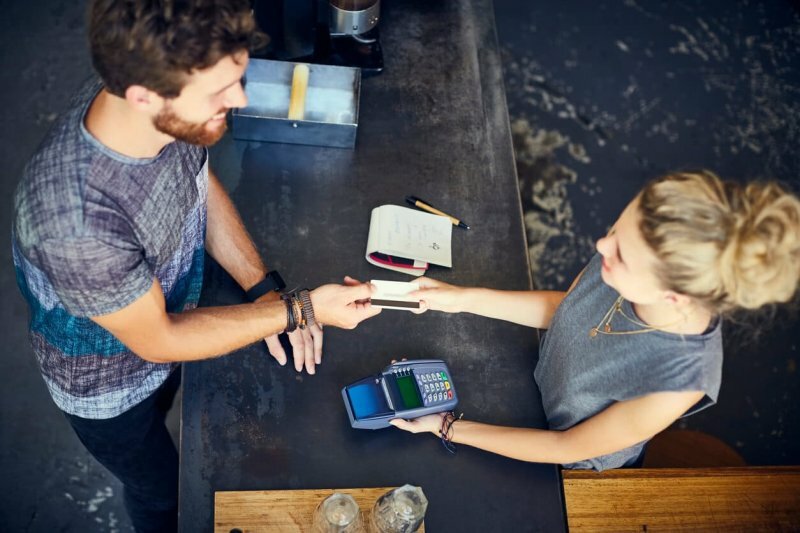 While typically associated with retail businesses, credit cards can also be useful in the business-to-business (B2B) space, too. Convenience: Credit cards make both retail and B2B transactions simpler for buyers and sellers. Credit cards offer a paperless record for accounting purposes, and they move money faster than other methods. They also allow for much easier online purchases. Cash-like transactions: Credit card purchases flow through your accounting system like cash. That eliminates the need for invoicing, waiting for payment, extending credit, and many of the collection issues that can arise when people don’t pay their bills promptly. Customer magnet: Even without considering quality, service, and other attributes of your business, the simple fact that you accept credit cards helps you grow your business by attracting a bigger universe of potential clients and customers. Incremental sales: It’s a well-documented mind trick: people spend more – and do so more readily – when using a credit card than when they use cash. This applies especially to retail businesses and is less salient in the B2B space. Simplicity: Customers and clients prefer paying with a card because it creates a record of the transaction that’s easier to work with than paper. And a credit card transaction can be more easily disputed if there’s a problem. Safety: From a consumer perspective, cards are safer to carry than cash. For business owners, especially in the retail space, the more you depend on cards, the lower your risk of losing cash to robbery and theft. Fees: The advantages of plastic come at a price. Expect to pay for bank-based or internet-based merchant services, interchange fees, and other charges. You may also be responsible for a minimum volume of transactions. A bank-based merchant service provider often charges an initial setup fee and about two percent of every transaction. You’ll also have to pay for the use of transaction processing equipment. Internet-based services typically charge a higher per-transaction fee—usually less than three percent—but little or no setup and equipment costs. Chargebacks: Clients and customers can dispute service or product transactions they’re unhappy with—even months after the fact. That can cost your business the amount of the initial charge immediately. And it can take months to receive your money—if you receive it at all. If the dispute is resolved in the buyer’s favor, the chargeback becomes permanent. Although a merchant service provider can arbitrate this process, it’s a process you want to avoid. If you get hit with more chargebacks than similar businesses, you could face problems like higher costs going forward. Fraud liability: Unlike consumers, business owners can be held liable for fraudulent transactions under certain circumstances. In fact, if too many credit card fraud claims trace back to your business, you could potentially lose the right to accept cards altogether—and still never collect on the products or services you sold unwittingly in the first place. Should you accept plastic? For most people, the nature of the business is a big deciding factor. Higher volume retail businesses often opt to accept credit cards. For smaller low-volume companies, like consultancies with few steady clients, the costs outweigh the benefits.